Jen always has the cutest holiday pillows and Valentine's Day is no exception. Her Valentine heart pillows are beyond adorable. I am not sure which is my favorite, so I think you have to make all three! 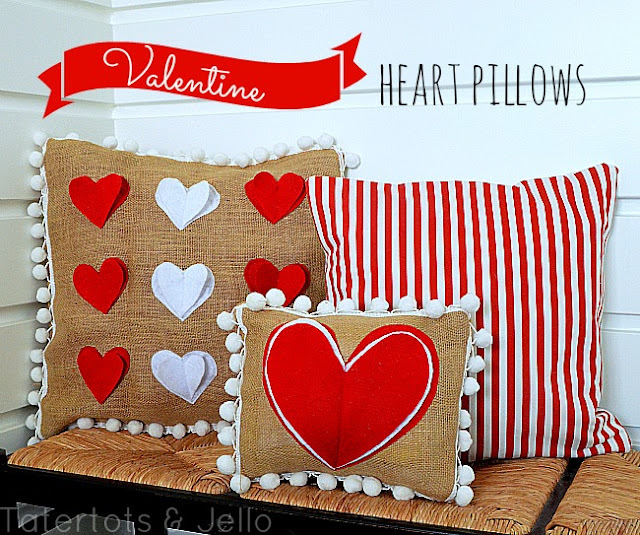 Jen shows you how to make these pom pom Valentine pillows over at Tattertots & Jello.